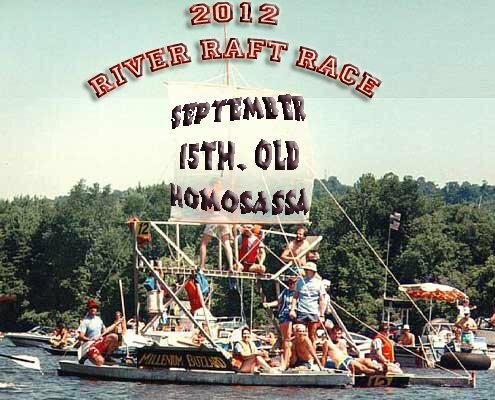 If you have not been to the Homosassa River Raft Race than you have been missing out on a lot of fun time on the river. The schedule of event is below. I hope to see you there. 8:30 – Arrival time and sign in for rafts at the kayak launch at Riverside. All rafts will be checked in by 11:30. 11:30 – Waterway cleared, rafts begin staging in front of the shed. Judges take place at the Yardarm Lounge. American Pro Dive boat sets the starting line, as contestants line up. 12:30 – All non winning rafts wanting to compete for the “Best Decorated” line up at starting point. Led by the American Pro Dive boat, each raft will go in single file, following the lead boat around so judges may rate their design.